Lori is an experienced marketing and sales professional who has been planning and directing events for 20 years, in both Kansas City and Southwest Florida. North moved to the area in 2002 after she served as the Director of the 2002 U.S. Women’s Open Championship, the largest professional golf tournament in the world. She was responsible for the entire event, including 2,000 volunteers, 156 professional and amateur golfers, international media, and all of the event marketing and logistics. When Lori relocated to Southwest Florida, she brought her vast event management experience, coupled with her ability to direct marketing strategy for businesses and organizations. She coaches her clients to do an analysis of whether the event meets strategic business goals. Lori implements an event plan and timeline that allows her to track progress towards the client goals. Using a combination of creative ideas, exceptional attention to detail and people skills, she ensures that all events come together seamlessly. In 2010, Pam joined the Eventful team. 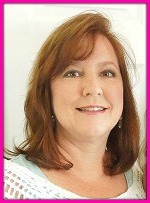 Pam has been directing and planning events for 20 years, both in Ohio and Southwest Florida. Prior to moving to Ft. Myers, she was a Chairperson for the Wendy’s Championship for Children, an LPGA event with the highest player purse on the Tour. She is a skilled professional in all facets of an event, and has exceptional proficiency in time management, auction logistics, organization skills and volunteer coordination. Pam also creates and conducts specific and strategic workshops and training for events, production, volunteers and sponsor development. 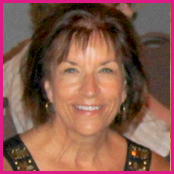 Lisa has been with The Eventful Company since 2013. She graduated from The College of St. Catherine in St. Paul, Minnesota with a degree in Business Administration. She then worked for Mackay Envelope Corporation in Minneapolis as an Account Manager. After the birth of her daughter, Lisa and her family moved to Cape Coral, Florida where she raised her daughter and son. She has been homeschooling her children for several years and is now back in the workforce in visual merchandising and event planning. Lisa is responsible for organizing the auction items and event registration for the attendees. Emily has been with The Eventful Company since 2013. 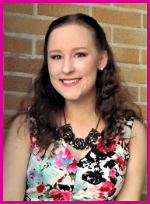 She graduated from Florida Gulf Coast University in Spring 2017 with a Bachelor of Arts degree in English, and a minor in Creative Writing. In addition to working for Eventful, Emily is a regional writer for the website BroadwayWorld for the Fort Myers and Naples area. Emily is responsible for Eventful’s blog and social media pages, and she works at many events and Bingo nights.